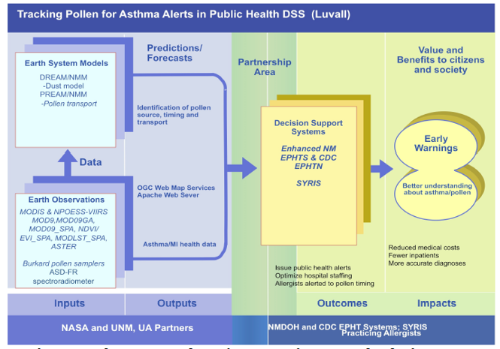 The U.S. Environmental Protection Agency integrated Aura, Aqua, and Terra data into the AirNow air-quality decision support system, which health officials use to alert the public about hazardous pollution. HAQ's Newsletter for October - December 2018 is here! HAQ's Newsletter for September 2017 - January 2018 is here! The Health & Air Quality Applications area encourages the use of Earth observations in air quality management and public health, particularly involving environmental health and infectious diseases. 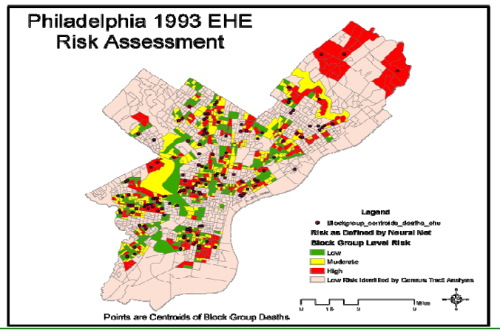 The area addresses issues of toxic and pathogenic exposure and health-related hazards and their effects for risk characterization and mitigation. 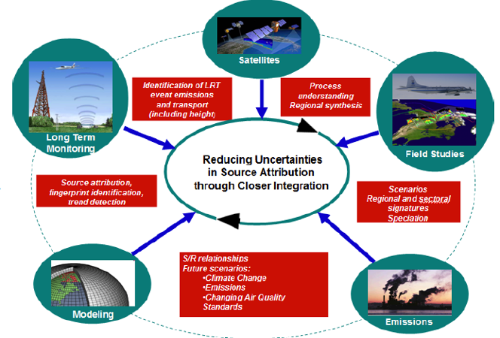 The area promotes uses of Earth observations data and models regarding implementation of air quality standards, policy, and regulations for economic and human welfare. 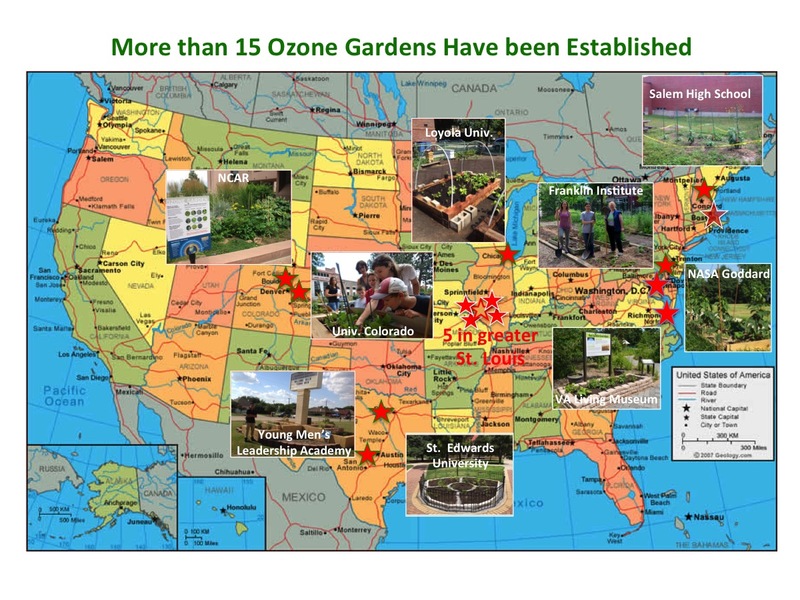 The area also addresses effects of climate change on air quality and public health to support managers, policy makers, and ultimately the public with health-related decisions and actions. 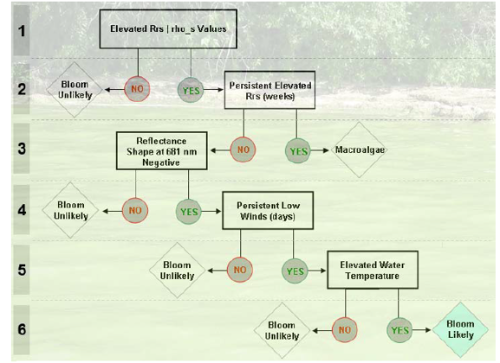 Cyanobacterial blooms largely develop from high concentrations of phosphorus in relatively still water above 60 degrees Fahrenheit. Phosphorus in Lake Erie mainly comes from agricultural fertilizer and manure runoff, with other sources such as sewage from wastewater treatment plants. The vast majority of phosphorus inputs (“loads”) to the lake occur during heavy rain storms. The Applied Sciences project found that the spring load, March through June, effectively determines the bloom season from about August 1 to the early fall. The satellite data has real value in producing an Air Quality Index that actually protects the public from harm by allowing them to make decisions that protect their health and wellbeing. If the satellite data were not there, there would be no indication of this poorer air quality. In the Missouri fires case (see video) the addition of satellite data leads to identification of poorer air quality by including satellite observations of smoke in an otherwise unmonitored area of Northern Missouri. Clouds have a profound role in photolysis activity, boundary-layer development and deep vertical mixing of pollutants and precursors. 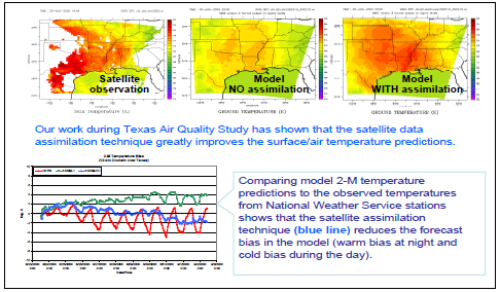 Satellite observations were used from the Decision Support System Application for Texas to improve model cloud simulations that are critical in designing emission control and can save millions of dollars in direct and indirect costs. This in turn impacts the regulatory decisions that are based on these model results. The FRAPPÉ aircraft campaign (July 15 - August 16, 2014) focused on improving understanding of the factors contributing to poor air quality in the Colorado Front Range. AQAST contributed to FRAPPÉ through its Oil & Gas Tiger Team (P.I. 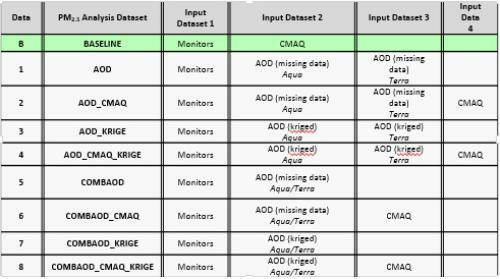 Anne Thompson) to quantify oil/gas emissions and mixing with other pollution sources. See this presentation from David Edwards at the AQAST7 meeting. 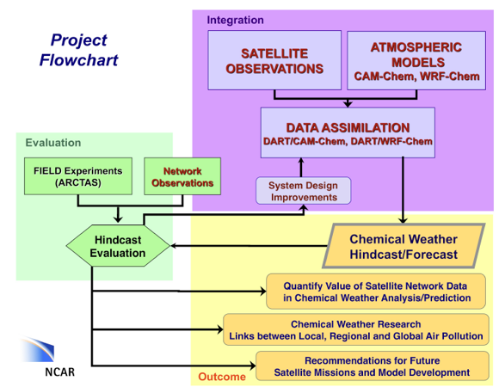 The project uses NASA measurements from TES (Tropospheric Emission Spectrometer), OMI (Ozone Monitoring Instrument), and from the ARCTAS (Arctic Research of the Composition of the Troposphere from Aircraft and Satellites) field campaign to evaluate and drive the GEOS-Chem (Goddard Earth Observing System-Chemistry) global and STEM (Sulfur Transport and Deposition Model) regional models. For more details, the full document can be downloaded here. 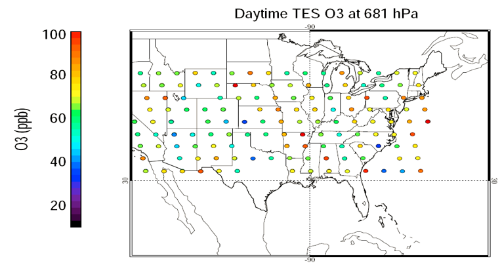 The plot of red squares (on map) indicates a vertical analysis (shown middle column). For more details, please download the full document here. SMAP produces detailed global maps of soil moisture, enabling insights on the way Earth's water, energy, and carbon link and work together. 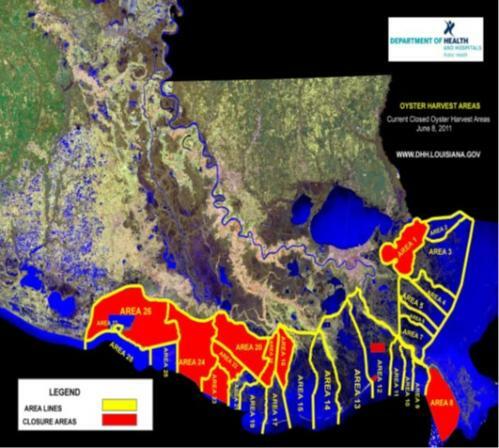 In addition SMAP enables a new era in global drought monitoring, flood forecasting, crop yield forecasts, and other important water-related applications. MODIS (or Moderate Resolution Imaging Spectroradiometer) is a key instrument aboard the Terra and Aqua satellites, viewing the entire Earth's surface every 1 to 2 days, and acquiring data in 36 spectral bands. These data will improve our understanding of global dynamics and processes occurring on the land, in the oceans, and in the lower atmosphere. Aura obtains measurements of ozone, aerosols and key gases throughout the atmosphere using technologically innovative space instrumentation. Aura's instruments measure trace gases in the atmosphere by detecting their unique spectral signatures. These data are used to gain revolutionary insights into the chemistry of our atmosphere. NASA's Global Precipitation Measurement (GPM) mission has succeeded its predecessor the Tropical Rainfall Measurement Mission (TRMM) in providing advanced information on rain and snow characteristics and detailed 3-D views of precipitation structure in the atmosphere. 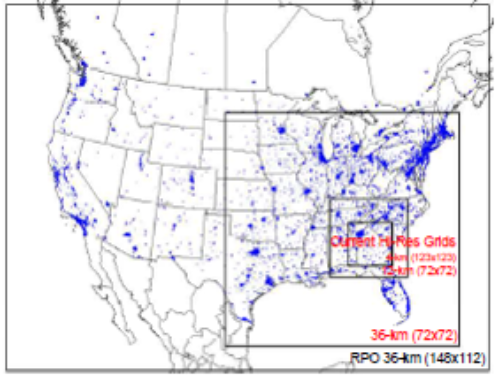 GPM and TRMM provide meaningful precipitation estimates, which are used for an array of scientific discoveries and societal applications. The Tropical Rainfall Measuring Mission (TRMM) is a joint mission between NASA and the Japan Aerospace Exploration (JAXA) Agency to study rainfall for weather and climate research. 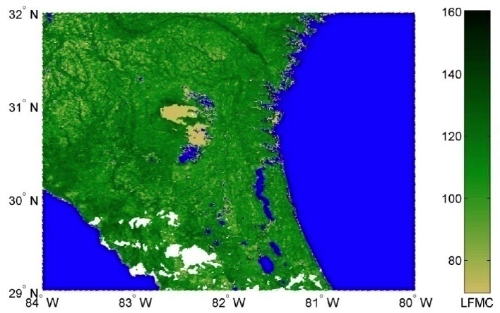 The TRMM satellite stopped collecting data on April 15, 2015, and delivered a unique 17-year dataset of global tropical rainfall and lightning. 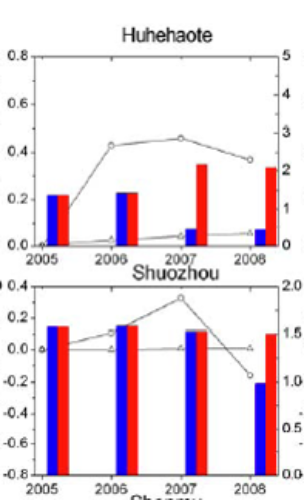 REgional Indicators of daily-to-yearly variability in background ozone to inform air quality standard-setting and decision-making. Nested global and regional air quality forecasting, trace gas and aerosol satellite data assimilation, satellite visibility retrieval, stratospheric intrusions. 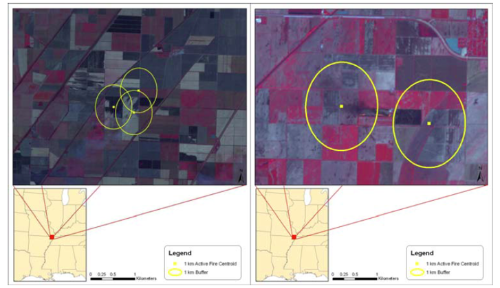 Linking NASA Satellite Data and Science to Enhance Fire Emissions within EPAs National Emissions Inventory: Developing Agricultural/Rangeland Fire Estimates, Connecting Models to Plume Injection Height Data, and Verifying Modeled Emissions Estimates. Reconciliation between the MODIS active fires and burned area products for improved biomass burned and uncertainty estimation. Use of MODIS with Gulf of Mexico for air plumes. 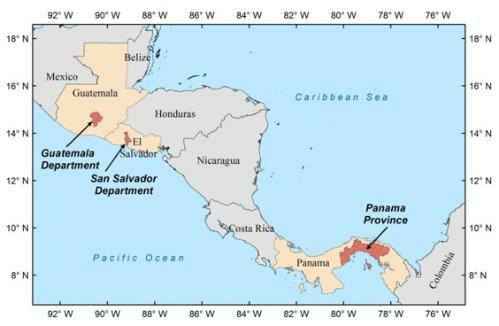 This Community Activity focuses on Earth observations for early warning to early action by developing and communicating response options to reduce environment-related health risks, such as infectious and vector-borne diseases. Earth observations integrated with social, demographic, and health information will enhance preparedness and resilience. 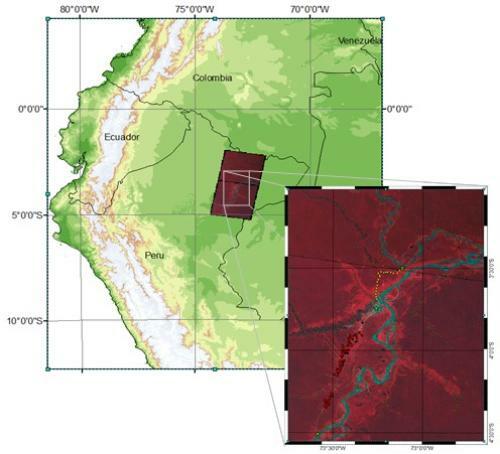 This is the best tool I have seen so far that integrates satellite data with information from ground monitors." 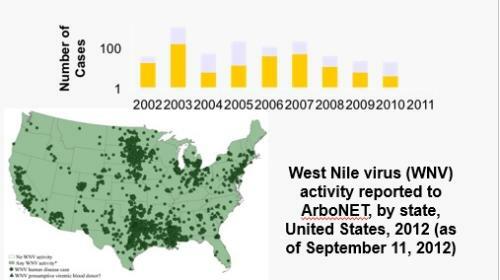 These data provide a useful addition to CDC WONDER, allowing public health researchers and policy makers to better include environmental exposure data in the context of other health data available in the CDC WONDER system. It’s the ‘next generation’ of thinking about how remote sensing technology can be used to identify and detect the prefactors for conditions that lead to disease emergence. The [project’s] risk map is a good alert forecasting tool of potential outbreaks [of Rift Valley fever]. 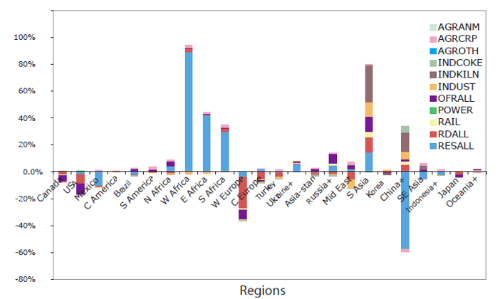 WHO supports development of the [viral hemorrhagic fever] forecasting efforts that improve capacities of existing models to increase the period between a forecasting alert and an outbreak onset. 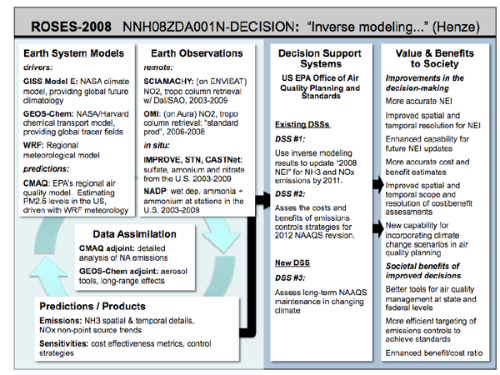 The NASA risk maps are an important element towards this end. 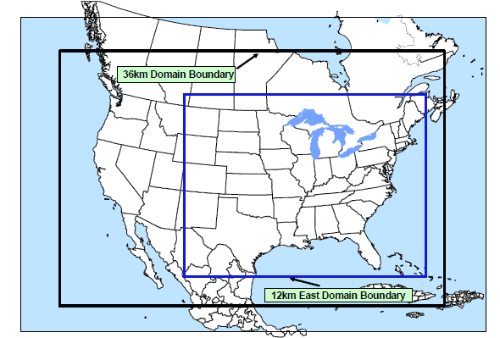 Remotely sensed data can help other communities develop science-based regulatory strategies for addressing their unique air quality management issues. 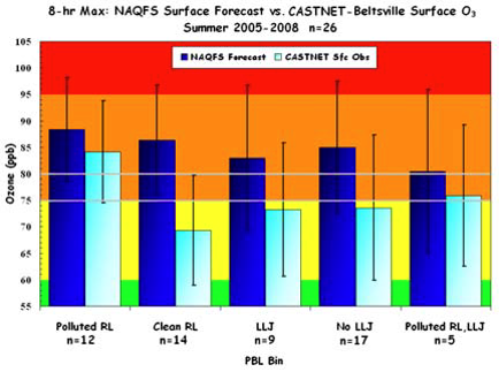 Satellite data help fill in gaps for the existing surface monitoring networks. The NASA data helps us better understand what impact heat has on health. 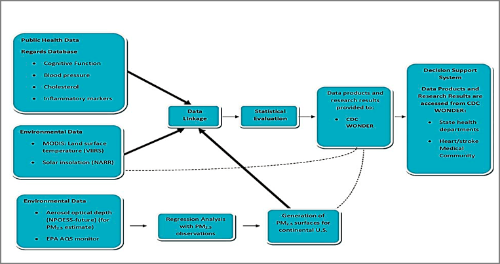 … this [Applied Sciences] project helped ensure that EPA’s regulatory modeling system included the science critical for air quality management and better environmental decision making. 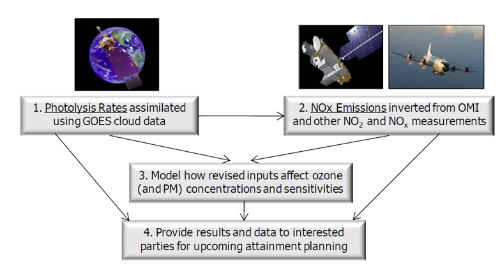 NASA’s AQAST offers a unique opportunity to provide additional technical analysis services for the air quality management community that complements air quality planning tools already in use. The AQAST team’s expertise and ability to evaluate air quality issues using NASA data and tools, provides decision makers with results to improve air quality analysis and planning, and identifies new applications to help them better do their work. 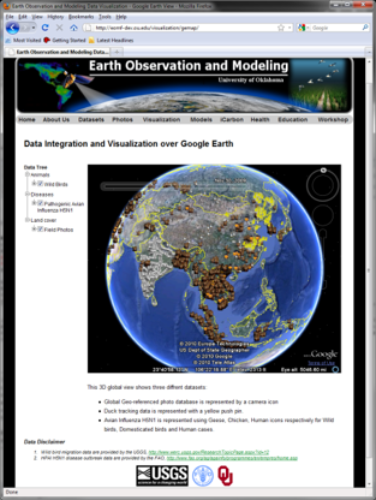 This is the best tool I have seen so far that integrates satellite data with information from ground monitors. This [the satellite data] gives you more data than our monitoring network. You can’t ever have enough data. * Any mention of a commercial product, service, or activity in this material does not constitute NASA endorsement. 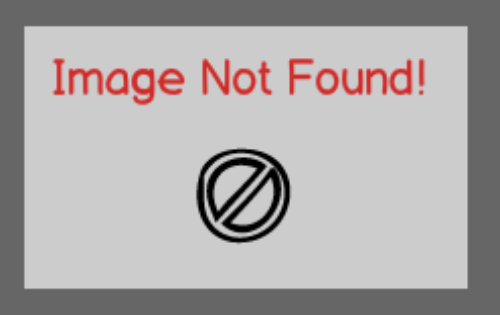 This material provides links to websites created and maintained by other public and/or private organizations. The presence of a link in this material is not a NASA endorsement of the site. NASA and NCAR Map Zika’s Potential Spread in the U.S.
Can smoke from fires intensify tornadoes?